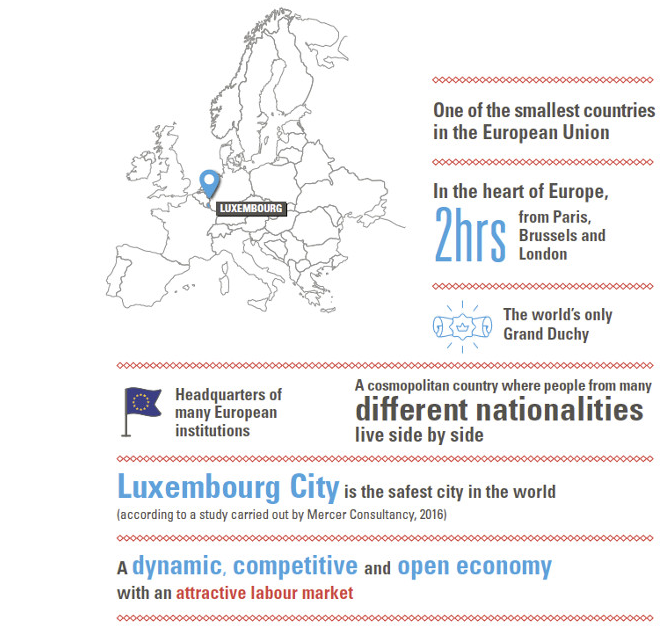 This is the beginning of the University of Luxembourg’s vision statement — and it is at the same time part of Luxembourg’s vision as a country investing in knowledge, research and innovation. 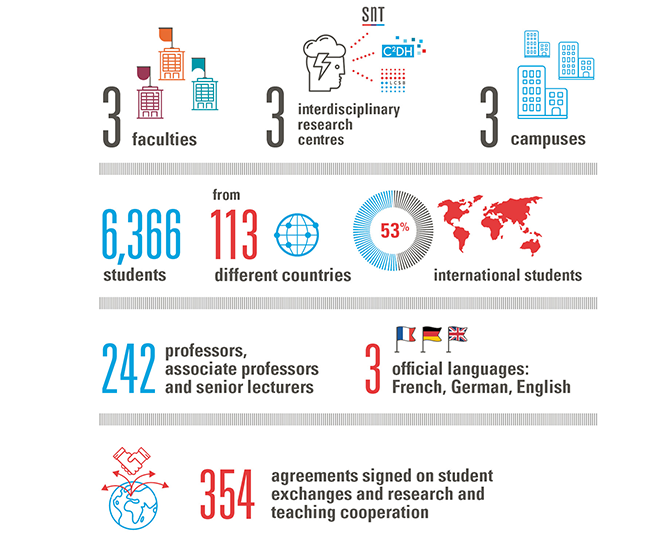 With students originating from 113 countries, academic staff from 20 countries as well as 354 partner universities around the globe, “internationality” is probably one of the qualifiers which characterises us best. In fact, we need internationalism, especially to organise the mobility of our students, as all of our bachelor students study at least one semester abroad. Furthermore, the University has several cross-border bi- or tri-national bachelor and master degrees and a part of its PhD candidates work towards a joint or double PhD degree. The three languages we use, several master programmes in reference to Europe, the background of our personnel and the country, as well as adjunct staff coming from many European institutions, make us more European than most other universities. In 2017, the University of Luxembourg raised 51.9 million euros of external research funds derived from funds of the European Union, the National Research Fund, endowed chairs and other partners. In the same year, our researchers have published a total of 1,887 scientific works. With 692 doctoral candidates, doctoral research contributes strongly to our research output as well. Interdisciplinarity is gradually becoming a dominant feature of our research activity: three interdisciplinary centres (SnT, LCSB and C²DH), the chair funded by satellite operator SES in Space law as well as cross-disciplinary teaching modules for our students are telling examples thereof. Partnership with the business world has played a major role in our development. We have several chairs, six of which are funded by companies and one by the city of Esch-sur-Alzette. Several banks as well as several local and international companies finance research. The Chamber of Commerce co-finances the Master in Entrepreneurship and Innovation. Many of our master students and PhD candidates undertake their thesis in close collaboration with an industrial or business partner, and are often co-financed by the company. We have 850 scientific and research staff involved in teaching, with many coming from the business world. Society is another of our references. Examples are the Jean Monnet Chairs in Contemporary European History and a UNESCO Chair in Human Rights, a large number of conferences, lectures, and debates open to the general public and a summer university for secondary school pupils. We carry out contract work for different ministries and several research projects are supported by a variety of organisations.